Life on the Farm at The Granary WoodShops: Last Day - just can't get enough! Tim Blanski's - now and again diary blog of life on the farm here in Spring Grove...and a day in the life at the Granary WoodShops Elegant Rustic furnishings shop. Last Day - just can't get enough! 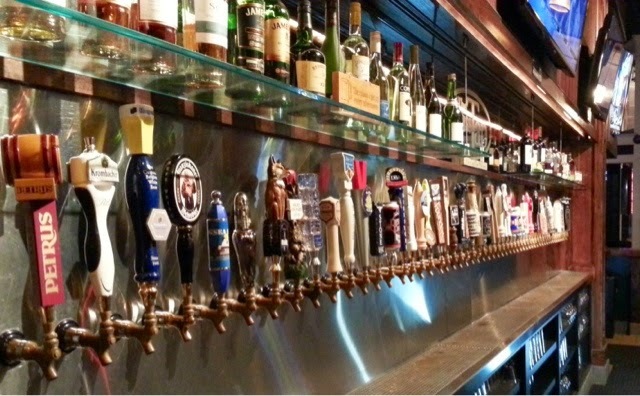 After a great relaxing night with friends up in Round Rock, we spent the last of the evening sipping local micro whiskey, and choosing from the 60 tap craft beers at the Brass Tap in Round Rock. Holy Cow that's a cool bar, and worth a stop! Monday put us back on the road north to DFW and a flight home, but not leaving til 6pm, so clearly there is opportunity for even MORE brisket, ribs, and sausage!! 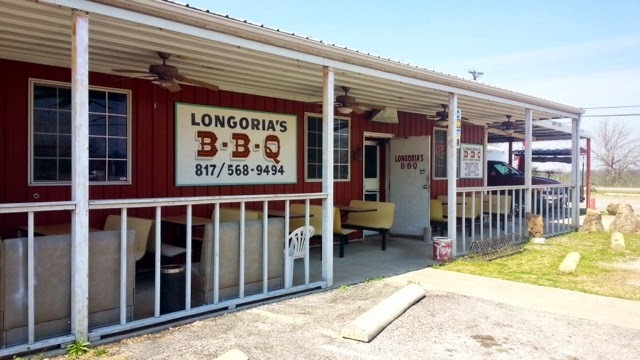 A little more research and low and behold the discovery of highly touted Longoria's BBQ in a south suburb of Everman. An unlikely location in the middle of sort of no where! 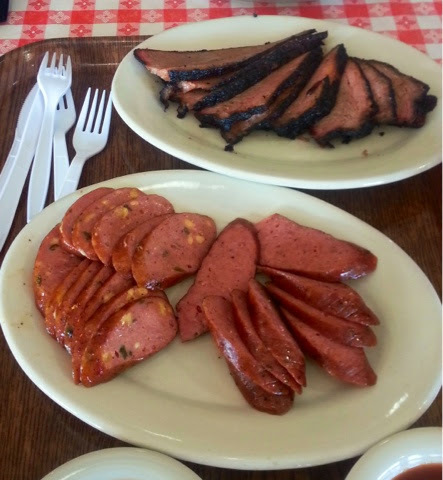 But a full menu of smoked choices, and famous for their 100% brisket sausage! We had to try it. So we ordered the Texas trifecta again of ribs, sausage, and brisket. The build up in other reviews of the brisket sausage had eagerly on edge, and pumped up to try. The sausage was excellent. Nothing bad to say. But did not make the short list of "best of" on the trip. It fell into the same category as nearly all others....man, that was really good. But we left it there. The ribs, more or less in the same category. If anything we thought the few bones we had were a little fatty. A noticeably delicious dry rub that Mike commented on right away. But not overly memorable. 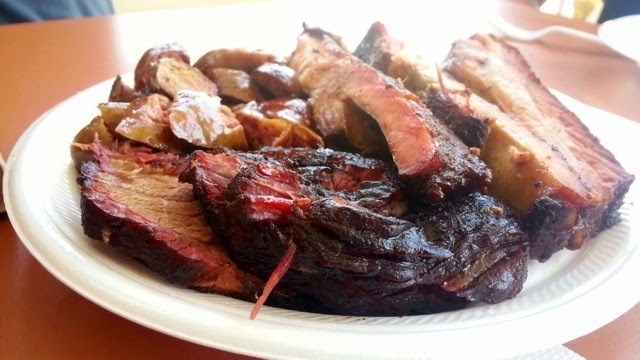 The brisket beckoned to us on the plate with a gorgeous bark and smoke ring. But I think we discovered the dis-advantage pit masters have if you're not faced with a mob lined up waiting for fresh sliced brisket. It seemed dry. Dry like it had maybe been sliced at noon, and it was now 2pm. Not over cooked, not over done or bad meat. 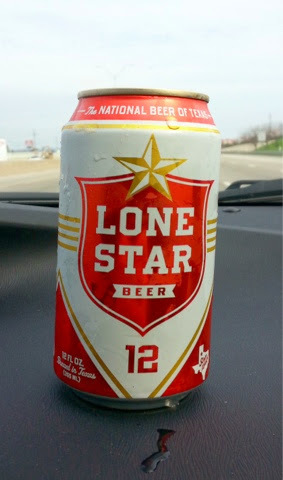 Just not fresh off the slab of brisket that we witnessed a few times this trip. Delicious, gorgeous, but not as fresh as we have become accustomed. 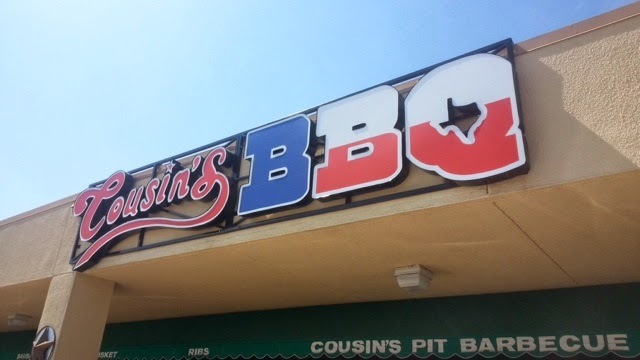 We still had a few hours, so jumped back online, and for no other reason that geographical convenience, we spotted Cousins BBQ in Ft Worth. Full from Longoria's, we opted for brisket and sausage. They offered two types Jalepeno and German. Again...tasty, savory, and well made on site. Nice kick in the jalepeno! Both Matt and Mike thought it was a little too "bologne" like with the smooth textured fine grind. But super delicious. We watched the brisket get sliced off a fresh slab, which we like! Nice bark, moist, tender and right on target. It was the only brisket we've had done totally on hickory...a slightly different smoke taste,, and just the right amount. The salt was more evident than any brisket we had tasted. We all like salt, but by being so prominent, it didn't knock anyone off our previous pedestals. But all in all, very glad we added two more stops before heading back to the frigid MN winter! I have a passion for combining nature and history to create furnishings with an individual story. I strive to exclusively use antique, salvaged, or recycled materials along with elements of nature in all my work. Living here in the country has afforded me an eye opening lifestyle experience, and I look forward to trying to share some of it with you! Summary Comments on the Texas BBQ tour!